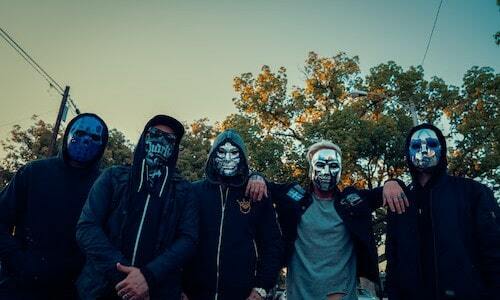 Hollywood Undead unveiled a new version of their hit single, ‘Whatever It Takes’, featuring notable recording artists Prodigal Sunn, Demrick, and Fudd Rukus. The mixtape edition of the song is available to stream and purchase on digital retailers, and fans can grab a listen and watch the music video below. The video was once again directed by Brian Cox, who has been at the helm for other signature Hollywood Undead videos including “California Dreaming” and “Black Cadillac.” The original track appears on the band’s fifth studio album, FIVE, released October 27th, 2017 via Dove & Grenade Media/BMG.